Is Going Gluten Free Good? 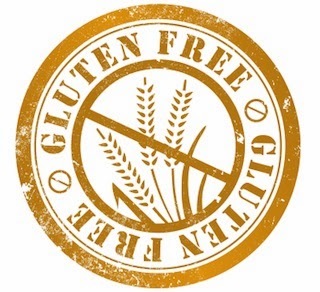 Typically those with celiac disease, an immune reaction to eating gluten that harms the intestines, follow a gluten free diet, however, going gluten free has become a popular diet trend. Grocery stores have begun to carry more gluten free items and restaurants have started to expand their menus with gluten free sections. Nonetheless, is completely removing gluten from your diet good for you? Gluten is found in wheat, rye and barley, but there are an array of foods that you wouldn’t suspect it to be contained in such as ice cream, soy sauce and ketchup. Since gluten is commonly found in numerous foods, companies are beginning to manufacture a lot of gluten free alternatives. “Many gluten-free products are high in processed carbohydrates and sugar. A person not dealing with gluten sensitivity or celiac disease would be better off shopping for a variety of high-fiber carbohydrates, lean proteins, colorful fruits and veggies, and healthy fats,” according to Core Performance. Although not all gluten free products are better for you, following a gluten free diet has some benefits. Since you need to understand what products do and do not contain gluten, people who follow the diet have a tendency to have a better consciousness of food and understand how to read food labels and the ingredients in the product. 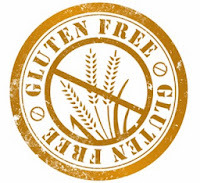 Going gluten free can guide a person to follow a healthier diet and reduce the consumption of processed foods. Those who are following a gluten free diet turn to alternative grains such as quinoa that are higher quality. Despite the fact that there are positives to following a gluten free diet, there are negative impacts as well. Since not every carbohydrate contains gluten, those who have eliminated gluten from their diet could potentially have a lower intake of carbohydrates caused by an absence of education on nutrients. Deficient intakes of fiber from usual sources have potential to cause digestive issues. Since gluten free products tend to contain excess sugar and carbohydrates, there is a possibility of weight gain. Regardless if you think you have a sensitivity to gluten, celiac disease or are interested in trying a gluten free diet, you should consult your doctor prior making adjustments to your diet.